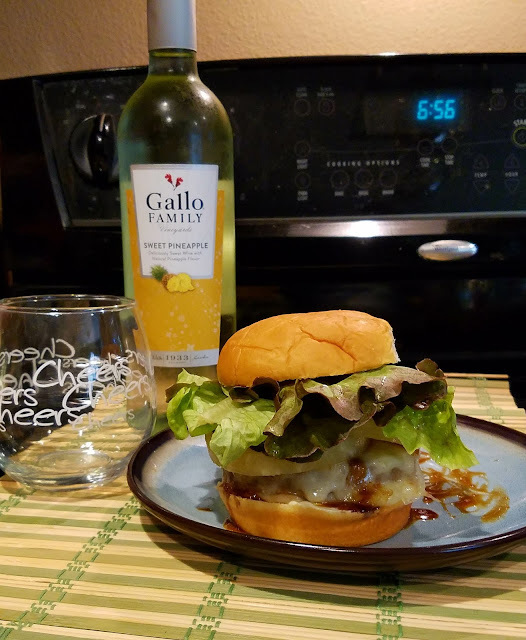 Missy's Views : Bolder Band Review, plus a Bolder Band with a $25.00 Visa Gift card Giveaway!! 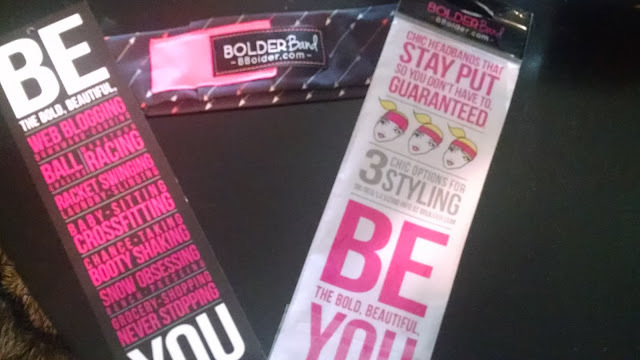 Bolder Band Review, plus a Bolder Band with a $25.00 Visa Gift card Giveaway!! Please note this is a sponsored post, however my thoughts and views are my own and the sponsor has had no input in this review. 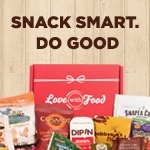 Another thing I love about Bolder Band, is that they totally seem like a family and that treat you as a valued customer, plus if you sign up for their emails, you get to see their great specials they offer and on the Bolder Band website they have fun product videos too! Bolder Bands are versatile, are machine washable, stylish and oh so cute. 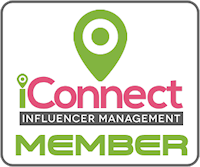 **I received this product in exchange for my opinions, however my thoughts and opinions are my own, the brand has had no say so or input in my review and if that had been a requirement I NEVER would have agreed to review. I REFUSE to give anything less than an honest review of a product or service and I will ONLY provide a review on items we have actually tried! I’ve done secret shopping, product testing as well as reviews for over 15 years. Ok, Now for our Giveaway!! The good folks over at Bolder Band www.bbolder.com sent us a Reg size Bolder Band in the fun vibrant Baja Babe print to giveaway to our readers and we are throwing in a $25.00 Visa Gift for Card for a prize value of $43.50!! This giveaway/sweepstakes is open from 4/29/16 12:00 am pacific time and ends 5/9/16 12:00am pacific time. Winner will be selected randomly and be posted on this blog on 5/10/16. **Please note at that time of winner being selected, the winner has 5 days from 5/10/16 (This is when winner will be announced on this blog) to contact me via my contact me form here on this blog to provide necessary information for prize redemption. which will include name and a valid mailing address. If prize is NOT claimed and redemption information is not provided by 5/17/16, please note that we reserve the right to pick an alternate winner and your win will be forfeited. It would be great if you subscribe to my blog and or social media though it is not necessary though it is appreciated. 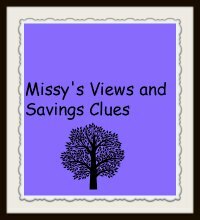 Missy’s Views and Savings Clues is not responsible for any late or lost entries malfunctions or failures any giveaway disruptions, injuries, losses or damages caused by events beyond the control of Missy’s Views and Savings Clues. The Sweepstakes may be canceled, suspended, postpone or modified, in whole or in part, due to technical failure or other factor beyond our control. By entering the Sweepstakes/giveaway through this blog, you release Missy’s Views and Savings Clues from any liability whatsoever, and waive any and all causes of action, related to any claims, costs, injuries, losses or damages of any kind arising out of or in connection with the giveaway or delivery, mis-delivery or acceptance of any prize including, but without limitation of claims, costs, injuries, losses and damages related to personal injuries, death, damage to or destruction of property, rights of publicity or privacy, defamation or portrayal in a false light, whether intentional or unintentional. GOOD tennis shoes of course. I can't be without my running shoes. I can't live without my iPod for rocking while I workout. My stepper is the exercise item that I cannot do without. My balance ball is used daily. I can't exercise without my yoga mat. My shoes to workout in! I always have to have on a moisture wicking shirt otherwise I feel to sweaty and unmotivated. I can't live without my ipod during a good workout. I love my music! I love my purple yoga mat that my sister in law gave me a while back! My favorite color, and comfortable too! Not necessarily a fitness item but I can not be without my ipod. I like my hand weights when I walk. My fitbit, and a decent pair of running shoes. Can't be without my water bottle. My ipod and headphones to jam out with while exercising! Couldn't possibly work out without my bluetooth earbuds! I can/t workout without my HRM. MY Fitbit is what I can't workout without! Can't live without my Basis Peak! Must have my yoga mat, I use it daily. I can't be without my Garmin vívofit 2 Activity Tracker. My iPod loaded with great music! I can be without my walking and hiking shoes. I need my iPod while working out. I can't be without music...usually earbuds and phone. Jump rope...easy to take everywhere! I can't be without yoga pants/capris. I have to have good tennis shoes! Its hard for me to choose between my headphones and dumb bells. If you force me to choose then I guess it would be the headphones so I can listen to music while working out. My iPod....can't move without the music! I love my Fitbit tracker! I definitely need some music to keep me going. I think my favorite thing is my headphones. Can't get motivated without music. One thing I can't live without while working out is my music. It helps me keep in my beast mode. My favorite tennis shoes to walk in. My fitbit...the day just insn't the same if I leave it at home! I love my new Nike sneakers but I also can't live without my music when running outside. My favorite fitness item is a pair of New Balance running shoes. They provide great support for my flat feet. My ipod for the music that gets me moving. That would be my exercise mat! I need my best pair of sneakers. Definitely my music - it is a huge motivator! My fitbit. It's silly, but if my steps aren't tracked I feel like they didn't happen! Definitely love my fitbit, it makes working out more fun. My iPhone and earbuds! Need that music motivation! I could not be without my isometric cord. Great workout shoes to protect my feet. My socks! They help keep me walking. Thank you so much for stopping by and entering our giveaway. This is only the first of our Giveaways, there’s more to come so I hope you check back soon. Congratulations to Monica H. Monica, please check your email. Thank you all and have a wonderful week!